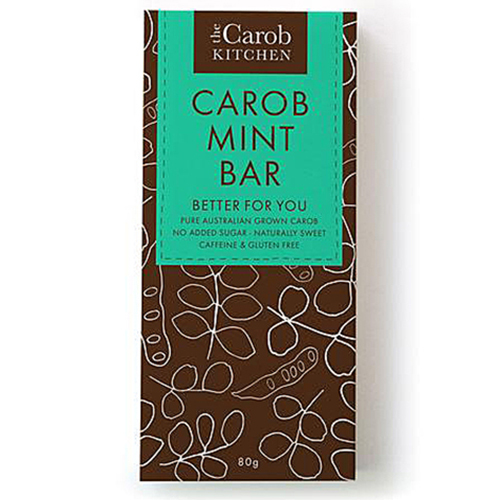 The naturally sweet, smooth and creamy taste in our Carob Kitchen Mint Bar is from the sweetness in Australian grown Carob beans. We blend our coconut carob bar to have a mild carob taste using Australian milk solids from 'grass-fed' cows and ethically sourced cocoa butter - a natural cocoa fat. 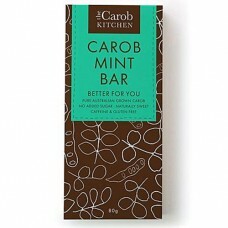 Made with natural ingredients: Milk solids, Cocoa Butter, Organically grown Carob powder (25.5%), Pure Mint Oil, Emulsifier (GMO free Soy Lecithin).